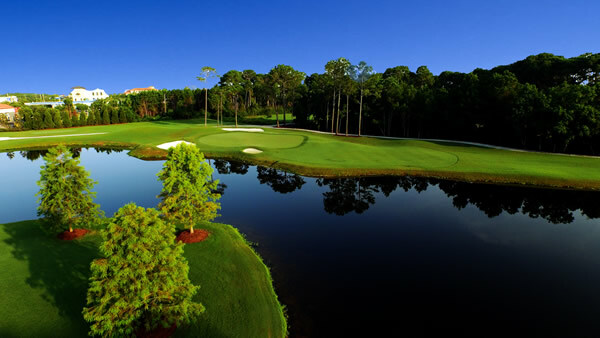 Emerald Coast Golf – Beautiful Golf Courses! The Emerald Coast Golf is a paradise for golfers of all skill levels, all year long, because of the sunny skies, pleasant breezes and beautiful landscapes. 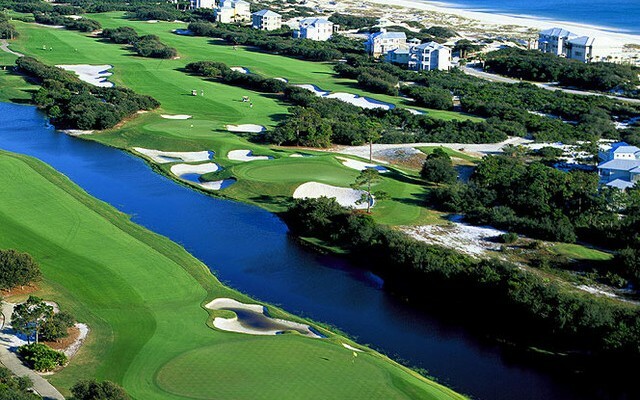 Whether the course lies along the sugar-white sand beaches or wanders through a grove of live oak, pine and tropical vegetation, you’re in for a treat on any of the following Emerald Coast Golf Courses. 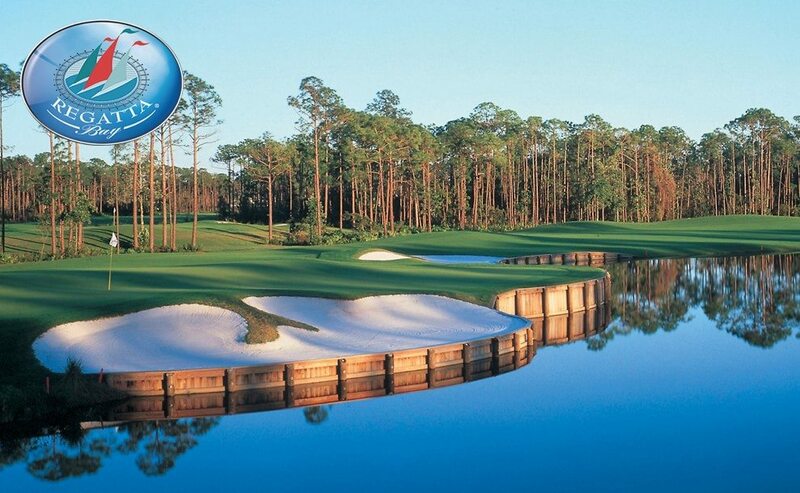 Golf is just one more thing to enjoy when you vacation in beautiful Destin Florida. NOTE: Fees drop by $40 after 11 AM, and another $20 after 2 PM. Junior golfers (under 17) pay $49. 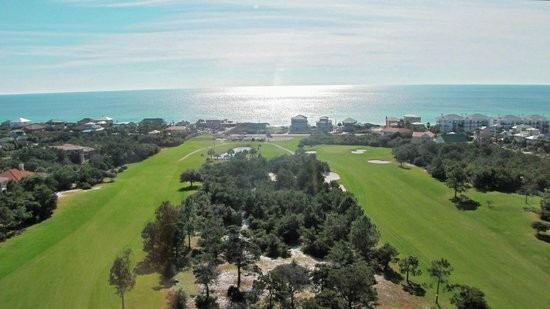 This is Destin’s premier, full-service championship 18-hole golf course, designed by Bob Cupp. 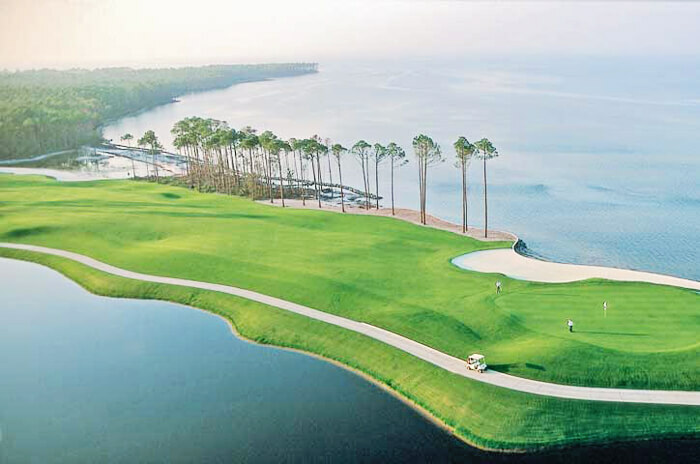 Along the shores of Choctawhatchee Bay, the course incorporates multiple water features and garden views. This golf course was completely renovated in 2014. The clubhouse offers a full-service pro shop as well as a full bar and The Grille, overlooking the 18th hole. No denim or collarless shirts are permitted at this Emerald Coast Golf Club. See where to have the best breakfast in Destin Florida. NOTE: Indian Bayou offers reduced rates for active duty military. Rates vary by season. Indian Bayou has three nine-hole courses. 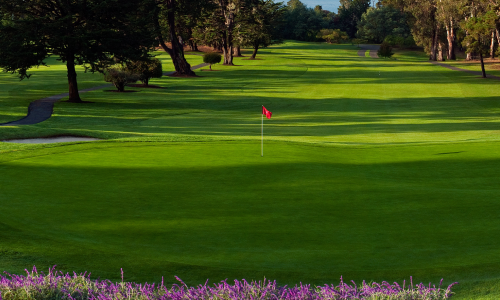 These recently renovated and updated 27 holes feature wide, forgiving fairways and beautiful lush, undulating greens. They also have majestic pines, and sparkling lake and water features. One of finest Emerald Coast Gold Courses. 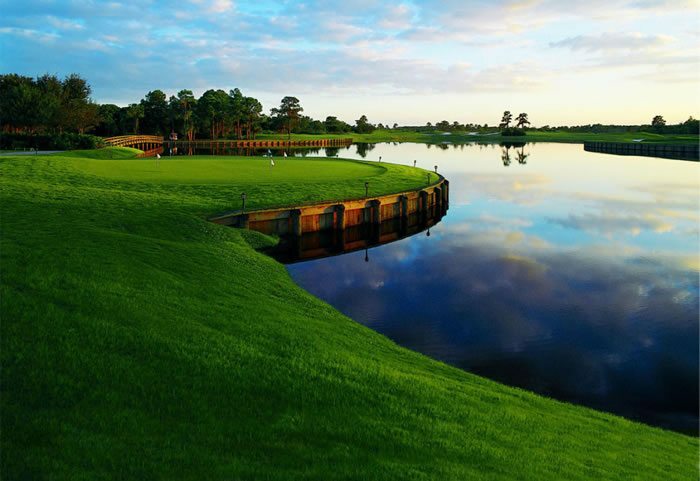 Indian Bayou is enjoyable and challenging for golfers of every skill level during your beach house stay at your Destin vacation rental – Doctors Orders. Set along the Choctawhatchee Bay, this semi-private Emerald Coast golf club offers 18 well-designed holes. Built on the former site of a turpentine plantation. Designers Fred Couples and Gene Bates fashioned an impressive 7,000 plus yards of championship golf course with large contoured greens, wide-manicured fairways, and strategically placed hazards. Golf Digest rated this visually impressive and environmentally sensitive course 4½ stars. 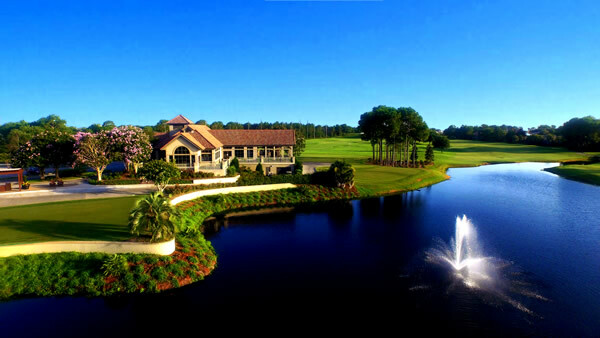 Be sure to book a round or two at this Emerald Coast Golf Course when you choose Doctors Orders as your Destin Florida vacation rentals. NOTE: Dynamic pricing means the fees fluctuate according to demand. Average morning rate appears to be in the $94.50 range per player. 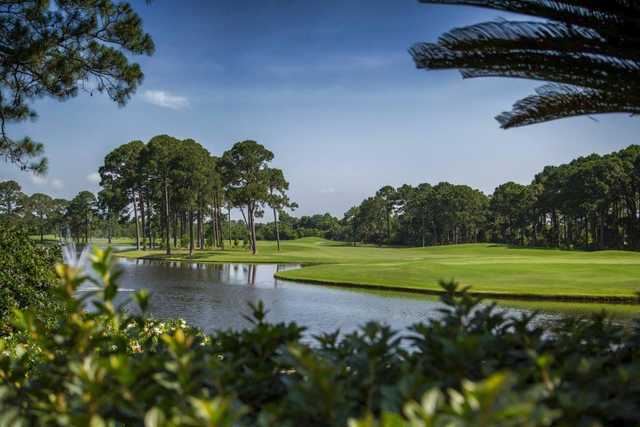 Nestled among breathtaking nature preserves along the Choctawhatchee Bay is Regatta Bay Golf, designed by Robert C. Walker, former lead architect for Arnold Palmer. This 6,894-yard, par-72 course was named one of Golf Digest’s “Top Places to Play in North America”. 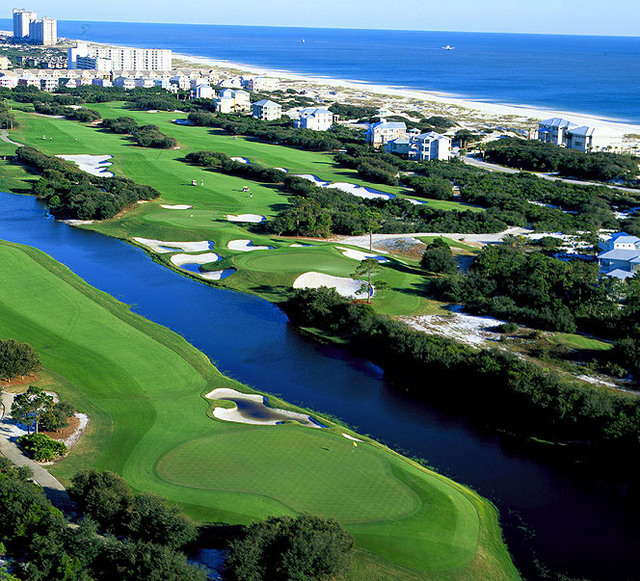 Players of all skill levels will enjoy an extraordinary Emerald Coast golf experience. In addition, the lush landscapes are too beautiful to overlook during your beach house stay at Doctors Orders. Learn why the Emerald Coast Golf bunkers have such white sand! The Seascape Destin golf course will surpass your expectations. With 18 lush contoured fairways and immaculate greens winding through the Resort’s lush forests and around its tranquil lakes. It’s just a short drive away when you choose Doctors Orders beach house as your vacation rental. 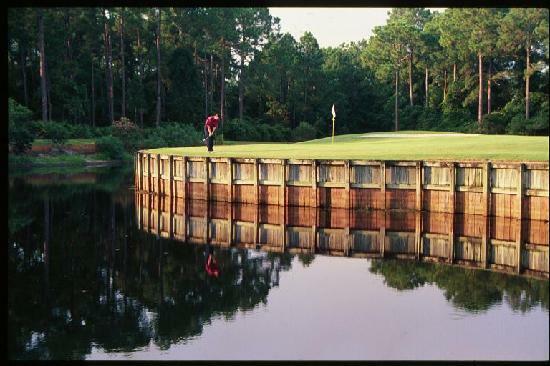 The Emerald Coast golf course is situated among a series of fresh water and coastal dune lakes. It features breathtaking views of the Gulf of Mexico from many holes. Fifteen of the eighteen holes have water features. 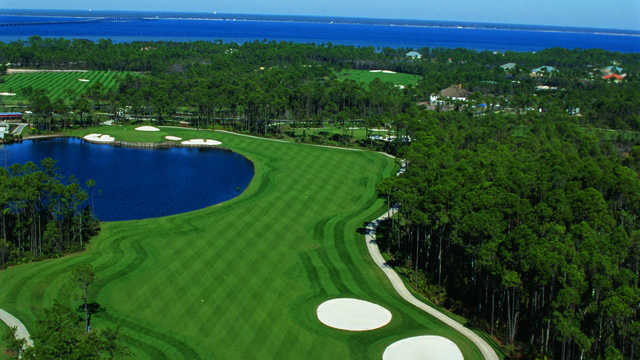 Designed by famed course architect Joe Lee, Seascape’s par 70, 6,100-yard championship Destin golf course poses a unique challenge to players of every skill level. The green placements and hazards require singular precision to maneuver the course. The sheer beauty of the terrain, with its tall pines, shimmering waters and softly rolling hills has been known to distract even the most ardent golfers. If you want a challenge when you vacation in Destin Florida, this may be just what you’re looking for. Book our Destin Florida Vacatin Rentals now to hold your dates. NOTE: Rates range from $17 to $36 depending on the season and time of day. Established in 1969, Santa Rosa Golf & Beach Club boasts eighteen holes of “The Purest Golf In the Florida Panhandle” according to Golf Magazine. It is the only member owned Emerald Coast golf course and private beach club located on scenic Highway 30A in Santa Rosa Beach, Florida. Hugging the sugar-white sandy beaches of South Walton. This club spans more than 85 acres providing members, guests and the public with access to golf, dining and more. The club boasts an 18 hole, par 72, championship golf course and a beautiful Beach Club with private pool and beach access. Each hole offers a fair challenge and unique character only found along the Highway 30a corridor and the Santa Rosa Beach area. Add to this the dining experience in the club’s signature restaurant located directly on the Gulf of Mexico, Vue on 30A, for a great view and a great meal. See how to find the best private beaches in Destin. NOTE: Winter rates $74 per round of 18 with $38 replay. To create a one-of-a-kind golf course, designers must work to preserve as much of the natural vegetation and topography as possible. Windswept Dunes designer and builder Doug O’Rourke has succeeded on all counts. 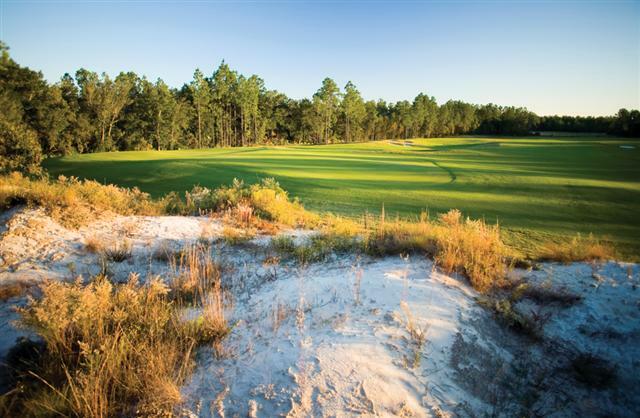 This inviting course features miles of spectacular white sand dunes; some as high as 20 feet! The large rolling fairways, and wide greens midst 700 acres of unspoiled beauty, will have you thinking about a replay. The spacious 18-hole course is a demanding 7752 yards from the championship tees. There are also five additional sets of tees, it offers challenge and excitement for golfers of all abilities. Haven’t booked your Emerald Coast Golf yet ? Make sure to check availability for our beautiful Destin vacation rental, Doctors Orders before you book reserve you Emerald Coast Golf.